Where city life and environmental thoughtfulness meet. Our apartments offer a wide range of characteristics and features, so you can find the perfect space for your lifestyle. As residents, you will enjoy living in luxury. 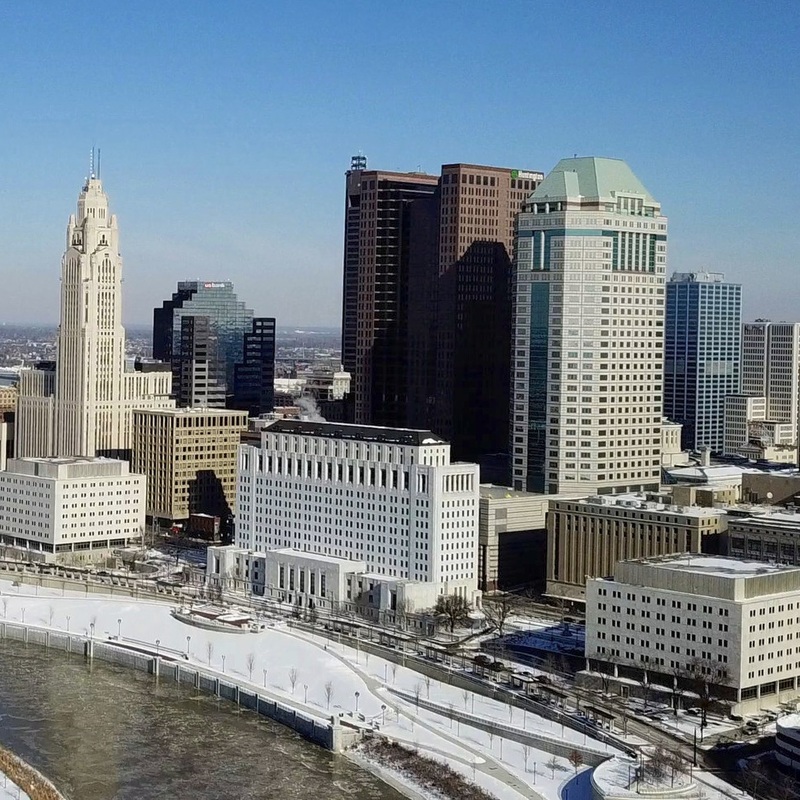 From the stainless-steel appliances, granite counter-tops, in-unit washer and dryer, and fiber-optic wiring for high speed internet featured in all of our floor plans, to the attached garage, balcony, and excellent views of downtown Columbus in select styles. With so many options, you have the freedom to choose the floor plan that’s right for you! The Arbor is more than just a housing complex – it's a neighborhood, and any good neighborhood comes with amenities for the locals. When we built The Arbor, we handpicked these fine establishments to join our community. Our core beliefs revolve around a healthy lifestyle. From our VIP gym membership to the farm fresh food dropped to your door weekly to community gatherings and information sessions, we hope our community programming and amenities will give you what you need to find your own perfect balance. Living it up in Columbus. At The Arbor, we believe a true community shouldn't be gated or fenced in – it should seamlessly meld into its surroundings. That's why we chose Columbus’ beautiful German Village neighborhood for our location. Home is where your pet is! That’s why we’ve made all unit styles and floorplans at The Arbor dog and cat friendly. Residents are allowed up to two dogs or cats with a combined weight under 75lbs. A pet deposit of $250 is required at move-in, $100 of which is refundable with no pet damage at move-out. The monthly pet fee is only $25 per pet. We know your pets will love living here as much as you do! Nestled in the bustling area of downtown Columbus, The Arbor is just as modern as the city that surrounds it. Residents will enjoy stainless-steel appliances, hardwood floors, breakfast bars and standalone island options, balconies in select unit styles, open floorplans, and contemporary living spaces with plenty of natural light. Many styles offer great views, so you can take in the sights of the city from the comfort of your own living room. Come see why life looks better at The Arbor! We pride ourselves on environmental friendliness as well as community engagement, and this is reflected in everything we do at The Arbor. True to our belief in a green lifestyle, all tenants will enjoy farm fresh foods delivered right to their front door monthly. Got leftovers? Not a problem! All extra and unwanted food from your monthly box will be donated to local charities, so you never have to worry about any of it going to waste. We also offer recipes at the front office for residents who feel like trying something new and delicious with their farm fresh food. You can also grow your own fruits, vegetables, and other plants in our community gardens, open to all interested residents. This much gardening can use up a lot of water, but no worries—we’ve thought of everything! At the Arbor, we use rainwater collection and harvesting to accumulate, store, and then reuse the water on-site. This gives a big boost to water conservation efforts, and keeps your home looking healthy and beautiful. Any other waste products are cleanly and conveniently picked up along with your recyclable items right outside your door by our valet service. The Arbor, conveniently located in downtown Columbus, is surrounded by great eateries. Check out our guide to the best local breakfast spots close to The Arbor. German Village in Columbus, Ohio is full of great dining, shopping and activities. Check out this guide to planning the perfect weekend in German Village. Activities in Columbus, Ohio are easy to come by. Whether it’s a concert, a festival, a sporting match, or a restaurant hop, there is no shortage of things to do in this great city of ours. Here’s your April activity guide for Columbus, Ohio events and activities. The Arbor Apartments Columbus is surrounded by some great, local shops. Check out this list of six great local shops near our luxury apartments. A few simple decorating tips can go a long way in taking your apartment from shabby to chic. Check out these top-notch decorating tips for apartments and smaller living spaces. Staying fit and healthy at The Arbor is an easy task since there are plenty of great workout options right in our backyard. Here are some great ways you can get your exercise in around The Arbor Apartments. Activities in Columbus, Ohio are easy to come by. Whether its a concert, a festival, a sporting match, or a restaurant hop, there is no shortage of things to do in this great city of ours. Here’s your March activity guide to Columbus activities near you! Residents of The Arbor are fortunate to live in such a prime location of Columbus, Ohio. We are lucky enough to be surrounded by great food, ample shopping, and a wide variety of activities. Whether you are looking for something to do for a date night, a girl’s night out, or a family fun activity, Columbus is sure to have something to fit your needs. Check out these five best things you could do near The Arbor Apartments. Living in a large metropolitan area such as Columbus, Ohio often means living in a more modestly sized apartment. Or a smaller home than one may be used to. Trying to fit all of your suburban home goods into your city apartment can be tough. Thus living comfortably in a studio or one bedroom apartment with others requires a little creativity. Check out these five creative ideas for shared living spaces. We are certain you will want to incorporate at least one of them into your home.